Positive Letters .... inspirational stories ....: Auld Lang Syne ... here comes 2012: Welcome New Year ..
Auld Lang Syne ... here comes 2012: Welcome New Year .. The song we will all sing (or hear the next day for those sleepyheads!) is the classic that was spread by the Scots, English, Welsh, Cornish and Irish as they emigrated around the world. Robert Burns (1759 – 1796) even plagiarised the old song – when he sent a copy of the original song to the Scots Musical Museum, he remarked “The following song, an old song, of the olden times, has never been in print, nor even in manuscript until I took it down from an old man”. Burns collected folk songs from across Scotland, often revising or adapting them and whether we use the original melody as Burns intended ... or not it is the one that is widely used today. “Old long since”, or more idiomatically “long long ago”, “days gone by”, or “old times” – consequently “for auld lang syne”, as it appears in the first line of the chorus, is loosely translated as “for (the sake of) old times”. These old songs were the ballads that we now know and were often a narrative set to music (before writing became commonplace) from the later Medieval period (1300s and on) until the early 1800s .. The term ‘ballad’ probably derives its name from the Medieval French dance songs or “ballares” (from which we also get ballet). The storytelling concepts would have come in from Scandinavian and Germanic traditions as reflected in that great poem: “Beowulf”. 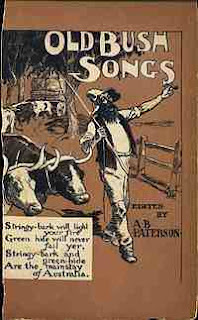 Literary ballads today we know reflect the work of Burns, Wordsworth, Coleridge to name a few ... and were encompassed by the Ballad Operas (eg The Beggar’s Opera 1728)... as well as stories from north America ... “The Ballad of Davy Crocket” ... or the "Bush Ballads" that gained a foothold in the rural Australian outback. So today we sing the words “we’ll take a cup of kindness yet” as Janus, the God of Gates, Doors and Beginnings, with his two faces ... looking forward and back ... awaits the pagan New Year. Tomorrow: New Year’s Day is the one true global public holiday – celebrated by many with fireworks to spark 2012 into life ... and Auld Lang Syne to “ ‘remember our trusty friends’ as we’ll take aright good-will draught .... for auld lang syne”. Happy New Year and a very successful and joy-filled 2012 ... busy year ahead. Thanks for the story of Auld Lang Syne. Now I know how to spell it! Love history, this was an interesting post. somehow, i can never remember the words to Auld Lang Syne - I suppose I should copy them down and carry a cheat sheet tonight :-) A very happy New year to you! It's always fun to learn the background story of things we take for granted. I've heard that song for years but never knew all of that. Hope you have a very blessed New Year. A thoroughly entertaining post. I reearched this some years ago when I obtain a copy of Burns' work but got sidetracked by Tam O'Shanter and the Cutty Sark. A happy new year and lang may yer lum reek! Wow, thanks for all the background history! Wishing you a Happy New Year, Hilary! Have a very, very great 2012! I always enjoy coming by to read your posts; the way you present the history of everyday things (or in this case, sayings) is so interesting! @ Monti .. oh good! Happy New Year to you too ..
@ gloW.. glad you learnt something .. thank you! @ Frances - same to you .. have a good year ahead. @ Bob .. thanks I keep finding things I don't know .. and just impart them on. Tam O'Shanter and the Cutty Sark .. yet to do!! @ Anne - well .. I need a translation tool for old Scottish?! "lum reek ....????" @ Old Kitty .. well let us all have a wonderful 2012 .. enjoy singing in the NY ..
@ Golden Eagle .. thanks so much for the comment - appreciate it. Happy New Year to you, Hilary, and may 2012 bring contentment and peace. The first time I heard this osng was on Charles Schilz's Charlie Brown show. I did not know what it meant. My kids had to explain to me about the song. Thanks for that and now I've got that song humming through my rattled head. And just a half an hour before 2012 in this 'green and pleasant land', here's wishing you and your loved ones, a peaceful, positive leap New Year. Cheers and thank you for your kindness and encouragement over the past year. Interesting! Thanks for the history. Happy New Year! I thoroughly enjoyed hearing this last night during the Edinburgh Tattoo - I wish I'd had your post in front of me so I could have joined in! Did you watch the youtube video of the Sydney fireworks? WOW! They managed to set the Arts Centre spire alight in Melbourne! Oops.. Thanks for the history of Auld Lang Syne Hilary. For some reason I always get tearful hearing it. Happy New Year from along the South Coast. Auld Lang Syne always makes me cry. Just couldn't sing it this year, so after a lovely quiet braai (Hilary can explain that one! )took my parents home and hubby & I crashed into bed at 10 pm! As hubby said, the new year will still be there tomorrow and, when we woke up, it was!! So HAPPY NEW YEAR to Hilary and all her readers! Hope 2012 is a beautiful year! I always wondered what the lyrics were, since we don't really sing Auld Lang Syne in South Africa. Whoops and here I am missing the whole point of my visit. 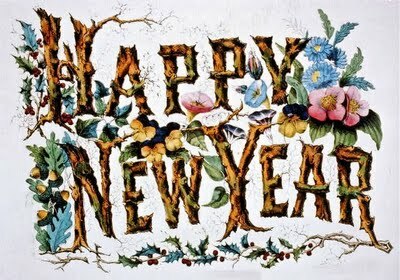 May you have a wonderful 2012! @ Janice - I couldn't agree more .. for all of us. @ Susan - same to you ..
@ Munir - gosh Charlie Brown singing Auld Lang Syne .. I'm glad your kids could explain! HNY to you too ..
@ A Lady's Life - thank you from us ..
@ Gary - well you only had half an hour to wait .. til the tv/radio blasted it out! Hope you had a good sing along - now you have the words! HPN for this leaping year .. that's just sinking in ... the leaping bit! I do hope your year is easier .. with thoughts ..
@ Shannon - thank you, glad you enjoyed the history! @ Sue .. I didn't stay up I'm afraid!! I caught the cascading waterfall off my grandfather's bridge .. that was pretty spectacular. Did the Arts Centre Spire in Melbourne catch alight .. as you say Ooooops! 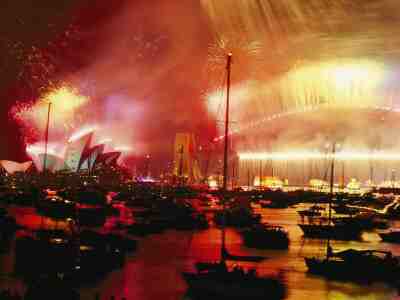 HNY .. to all firefighters in Melbourne and to those settlers of sparklers .. a few red faces to go through the hoops. @ Yvonne - glad you enjoyed the history - the song does have that effect on us .. and the rain has come from down your way today!! Wet and soggy .. but not tearful fortunately. @ Judy - like Yvonne and I .. it always makes me well up. Ah - BBQ .. would love to have had one of those .. and sunshine to wake to ..now just soggy rain! So pleased you had your parents over and were able to share the evening with them - that's so good to know .. that you're making the most of this time with them. @ Misha - enlightened at last! I think the English in SA would have always had Auld Lang Syne .. or perhaps I should say the Scots? I know we did when I was living out there ... THANKS for the return visit and wishes .. Happy New Year and may all your dreams come true. My father and his family are from Scotland, and Bobby Burns was always like a bigger-than-life idol in our family. (Yeah, we even called him "Bobby.") My grandmother's bust of him sits on my piano, and I my grandfather's collection of every poem he ever wrote sits on my bookshelf. So, how dare you suggest he might have "borrowed" Auld lang Syne from someone else??? Just kidding. Great post, as always. A very Happy New Year to you and yours. @ Gail .. thank you - you too. @ Patsy .. a very happy year ahead for you - lots going on .. happiness always. @ Susan .. well because that source of all wisdom Wikipedia said it! But you're .. we don't really know .. but the one thing about Burns or Bobby to you .. is that considering his very rural background and his father's educating him - he achieved much .. and obviously loved music as that played a major part ... the lyrics and narrative songs .. would they have been lost if he wasn't around .. probably .. Thanks for the story Hilary, and a cup of kindness to you as the new year unfolds. @ Juliet .. thank you - and to you and yours down under. @ Amy .. I think that's what we all do - and I suddenly thought I could jot it down here for posterity .. while the history was quite interesting too. Happy New Year, Hilary! Wishing you much joy and success in the year to come. Give your mum a hug from me. I lost mine last New Year's Day and miss her constantly. 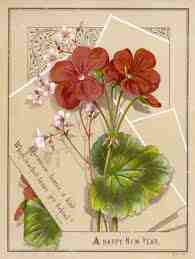 @ Marja .. you too and I do hope Christchurch is quiet for a long time now .. I agree love, laughter and happiness - what joy we can all have .. happy times to you down there! @ Karen .. wonderful to see you .. I will give Mum a big hug .. and do think of yours now I know a little about her from "Farm Girl" - really interesting book and read. Generations passing on .. thankfully we have good memories .. I must confess that I have never heard all the words to that song before. Nor did I know the history. Thank you SO very much for posting this. Greetings...my name is Grace, and it's lovely to meet you Hillary. What a great idea for a blog you have here. Great Concept indeed in these times of rampant negativity. I believe in purposefully seeking joy, because joy a buoy for the soul in troubled seas now isn't it! Your words are a pleasure to read. Interesting post. It's kind of cool we all have one thing we all celebrate. @ Grace.. good to meet you too. Very glad you enjoy the concept of positive letters .. a historical take on interesting ideas to stimulate the mind .. Delighted you approve! Thanks for being here ..
@ Holly - great to have you back amongst us .. and yes one day in the year when (if we remember!) we have something to celebrate together. Thank you for the background to the song, which I only heard sung since I came to this country. 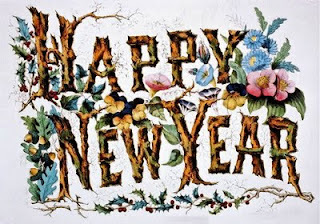 With the best wishes for a happy and productive 2012, here's hoping to see lots more of your interesting posts. @ Friko .. I expect many of us hadn't/haven't got a clue about the song .. so I was interested to learn. You too .. I do hope 2012 is happy and productive as well .. and my posts will be popping up! @ Karen .. glad you enjoyed the info. and thanks for the thumbs up ..
Hilary, a Happy New Year for you and yours and may it be filled with health and prosperity! Thanks for the informative post. I always learn something new here. I guess the New Year is something everyone has always celebrated. Makes sense. I have never understood this song. Why would we want to forget old friends and never think of them again. Reading the rest of the lyrics doesn't help clear things up either. In the last verse, we mention a good friend again. Should we forget them next year? Why has this song endured over the years? @ Stephen .. many thanks - I'm just getting back into it - I do hope your year goes very smoothly and writing can take over ..
@ Chase .. now you've put me on the spot!! Probably in those days the concept of remembering people wasn't so easy .. and if they moved around so much, friends could easily disappear ... it's reminding us to remember all .. at all times. Endured - because it's a Robby Burns' poem - that's why and a tradition .. you know us and our traditions ... ?! Help you ..? Happy, Happy New Year, Hilary! I haven't heard Auld Lang sung this year. We had severe storms NYE and had to stay home. So the expats gathering to sing to the Cypriots never happened. Oh, well next year! It's also nice that you reminded me that celebrating a new year is a global holiday, even if not all are celebrated at the same time. We all DO acknowledge the changing year and there's something nice about that. "And there’s a hand my trusty friend ! I hope 2012 brings you what you want and what you need. @ Sara .. wonderful to see you - and definitely HAPPY NEW YEAR to you too .. I'm pleased I wrote the words out etc. Wish I could take your hand .. and have a wee good-will draught .. while singing auld lang syne together. You too - let's hope 2012 brings lots of happiness ..
@ Marinela - many thanks ..
@ Madeleine - I know .. me too that's why at least it's here now - so I can check back each year. How cool! I've always wondered about that song's origins. I was sad to hear about Perla losing some relatives, but I'm glad most of them are all right. Thanks for being one of my awesome bloggy friends and big supporter in 2011. Here's to our growing friendship! Happy New Year to you and yours! Do you see my comments now? Hoping the directions you gave me solved the troubled. Hi Nutschell .. how are you?! Good to see you .. and have a wonderful year - though you had an amazing one last year! Perla seems to have got over the shock I'm pleased to say .. I was worried for a while - and thankfully she didn't lose her younger relatives. Great to be a follower and share your photos, stories, conferences etc and joie de vivre! @ Grace .. it worked - now you've got pop up comments .. good news ..
Ihope you had a great New Year! Time is a concept impossible to grasp fully. I thoroughly enjoyed your post. Such a mine of interesting info. Some I knew, some was new. Hi Denise .. Happy New Year to you too .. I agree Time is a very difficult concept to full grasp and depends on our perspective to some point. But I'm glad - we sort of know where we are! and someone worked a clock out for us. Every moment is a celebration of being. Perceived time is imagined into being.Transcend the apparent limitations of time and what you see and feel is core nature. Hi Liara .. you're so right every moment is a treasure to enjoy - to be with at that moment .. celebrate life at all times.